I am fearful as I write this, but it must be said. Why was Obama so quick to endorse Hillary? Why has the FBI not arrested Hillary? Why has the Billionaire controlled media not given Bernie Sanders equal time? Why has there been so much voter suppression? Why did Bill Clinton ask Donald Trump to run for President? I saw Donald Trump admit this on the news. Why do we have the two worst Candidates as presumptive nominees? I see this as more voter suppression! Do you find it strange that no one noticed that Hillary was not using her secure server? Why would Hillary set-up a non-secure server that could be hacked! Why do the Russians have 2,000 of her emails. Why did Hillary delete all of those emails? Why did Obama sign a law that permits the government to use propaganda on the American people? Why did Henry Kissinger groom Obama to be President? Why is Donald Trump meeting with Henry Kissinger? How and why did the insurance companies spend 2 million dollars a day to write Obamacare? If we know how much money Corporate American has hidden, why is nothing done about it? Why do we continue to pay those whose job it is to appoint a Supreme Court Justice. How long would you last at your job if you refused to do it? And would they pay you? Why is Obama now telling us that the TPP is good for American workers when everything about it stinks, Propaganda? Why do we vote for candidates that we know very little about? Why is the cost of becoming a Representative of the people become outrageously expensive? 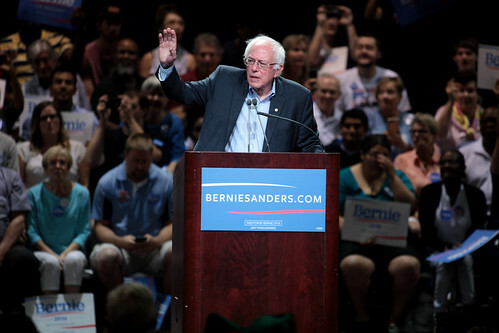 Why are those over 45 afraid of a man that will not accept money from corporations or wealthy PACs so worried because he calls himself a Democratic Socialist? Why did the insurance companies write Obamacare? Why are we so afraid of Mr. Putin? The man is a Christian who does not want war. He is the only leader in the world that won't accept The New World Order! Why does the Billionaire owned Media not do it's job anymore? Why do we let our government conscript our sons and daughters to die in wars that have no bearing on our existence. Our biggest threat is right here in USA. The Satanic Billionaires. They became billionaires by moving our jobs to slave wage countries and few of us stood up and said, this is wrong. Do you think that the huge deficit was made by the people of this country? A lot of whys, few answers. I know the answers to every question asked, do you? If not, you better start doing your homework instead of posting on Facebook all day. In my humble opinion, Obama is trying to cover a line of crap miles long. We must stop admiring politicians because they tell us we should. We as Americans must come together as Americans regardless of Race, Creed, Religion, Political Affiliation and every other fragmented group they have lead us into. Far too many Americans have been steered off course and that it is frightening. How long have we known that our politicians have been bought and paid for and not stood up and demand these people be prosecuted for for being a traitor or subversion of our Democracy. How long have we let our government and large Corporations commit mass murder in the name of Democracy, for profit? President Dwight D. Eisenhower a Four Star General, warned us of the Military/Industrial Complex which is now the Military/Industrial/Congressional Complex. President John F. Kennedy was murdered for trying to expose these secret organizations who now control us. It wasn't guys like me who went to Vietnam that stopped the war, it was students who held demonstrations protesting the war. Why do we not listen to those who are the next generation Americans. It is them who will suffer if we make the wrong choices. There is only one choice, Bernie Sanders who was cheated out of his place in history by a woman who has allegiance to Wall Street, Illuminati, Rothschild, and the Satanic Billionaires, who helped start ISIS to clean up the mess left by a war that should never have been. A group that they are no longer able to control. I see something that I never in my nearly 70 years on this earth thought would be, The unUnited States of America, that bothers me more than anything! Ask any soldier what he would do for their fellow soldiers. Most would say they would give their lives if needed. They are all of different origins but they stick together to protect the unit. Our Unit, the United States of America needs you now! Call me crazy if you would like. My only goal is to unite the citizens of this once great country in order to defend ourselves against tyranny. We have always been told that we are able to cause change at the ballot box, that time is now! I will vote for Bernie, the Billionaires are out of control!